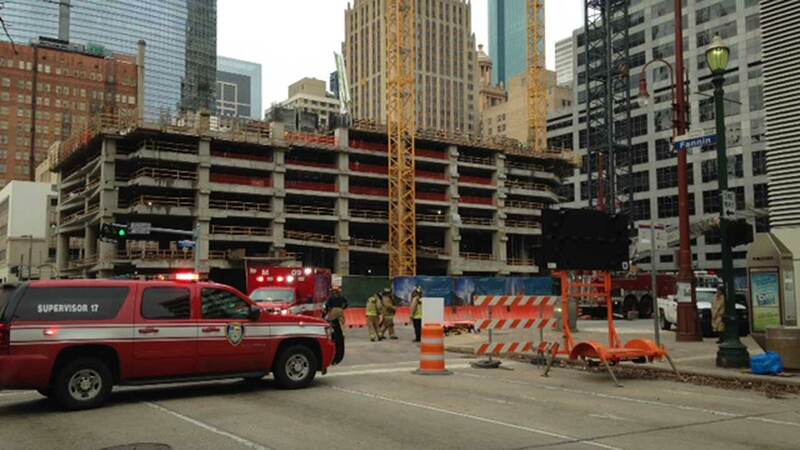 HOUSTON (KTRK) -- Firefighters are pulling a worker to safety after an accident at a construction site in downtown Houston. According to the Houston Fire Department, a man working on an elevated platform fell 15 to 20 feet to the ground. His condition is unknown. Firefighters have put the man on a stretcher and removed him from the scene with the help of a Stokes basket. Crews were called to the building under construction in the 600 block Main at about 9am.